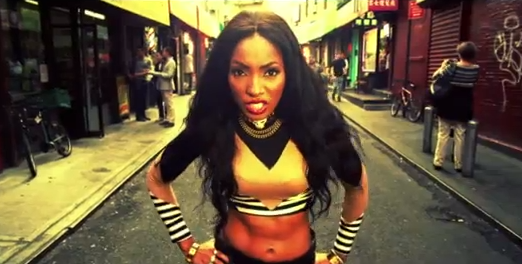 SnapCacklePop: Wynter Gordon returns with TKO..! Wynter Gordon returns with TKO..! Hmm..! We are slightly baffled by this new release, to mark the return of Wynter Gordon return to the charts. We understand that artist need to evolve and that they need to experiment with new style of music however this new track by Wynter baffles us slightly. After such an impressive debut album named With The Music I Die which gained a SCP Music Award nomination last year we weren't expecting such a move from dance club to alternative dance hip-hop electronic chick. Not to say the track isn't catchy (after a few listens), however a very different direction for the singer who is now releasing music independently. Perhaps channelling her inner Azealia Banks who is killing it right now, the track is taken from her new EP Human Condition: Sanguine. Do you like this new direction..?